Figure 4g in the original version of this article  was misused in the typesetting process. The figure 4g is the same as figure 4a. The corrected image for figure 4g is shown here (Figure 1). 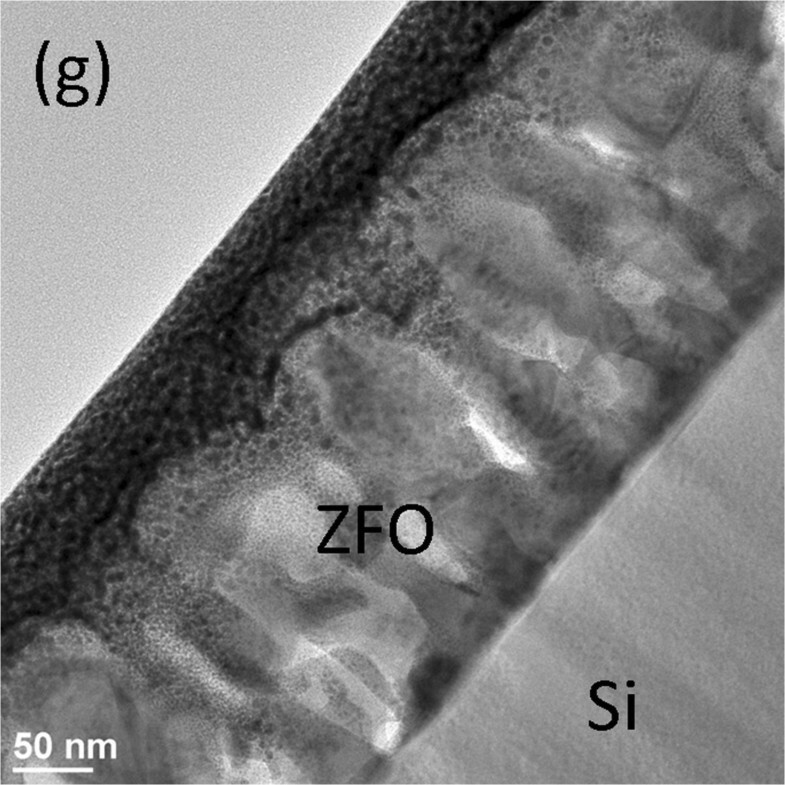 Low-magnification TEM image of the ZFO film on the Si.